Knowledge Base Builder is a simple, yet powerful knowledge base software that helps you manage a complete FAQ section on your website. Below is a list of features supported by default. 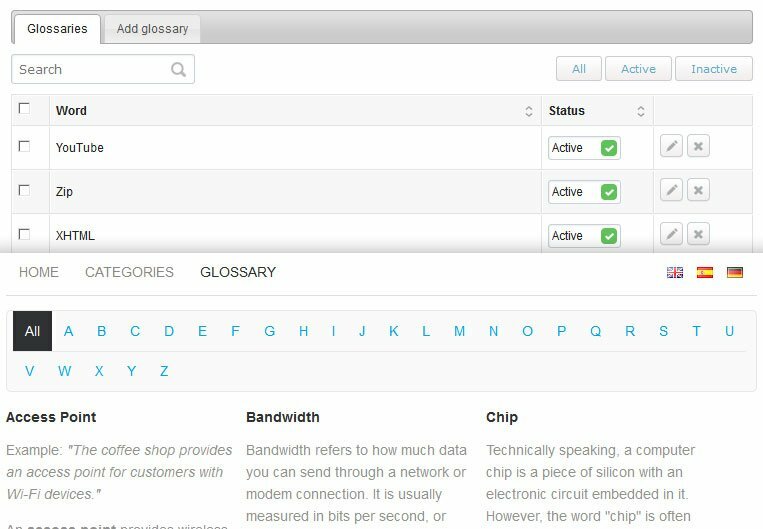 We can add any other feature to the Knowledge Base Builder upon request. Want to request modification? Please Contact us and describe what knowledge base script you need. 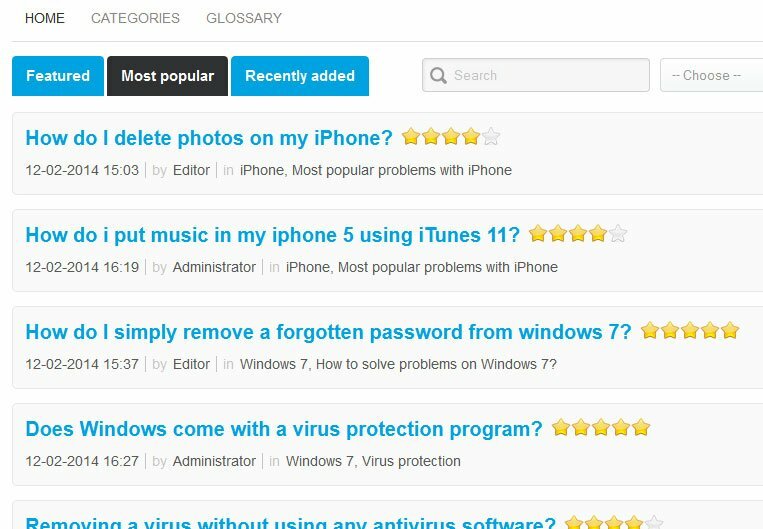 The built-in tab navigation - featured, most popular, most recent, as well as categories and glossary alphabetical pagination helps visitors quickly navigate through your content. Built-in content editor helps you easily publish Q&A, answers with text, images, videos and audio, add rich text formatting, links, and embed multimedia. 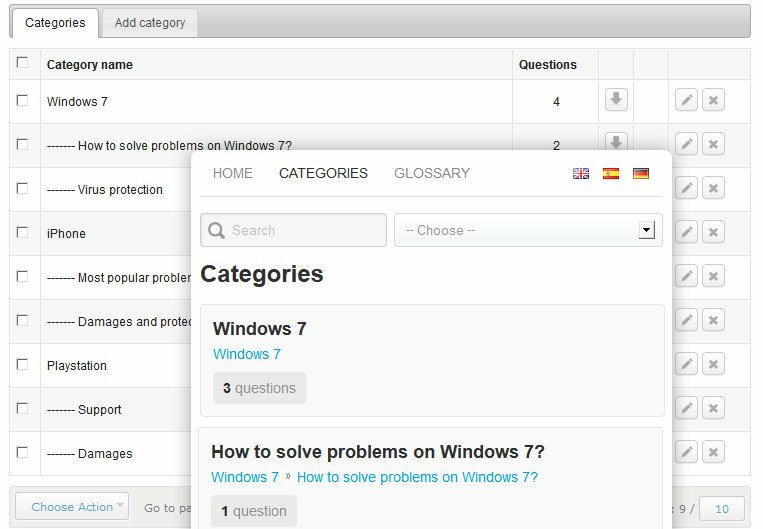 With our Knowledge Base Builder you can make your FAQ and knowledge base available in any language and also add a multi language flag bar at the front-end. 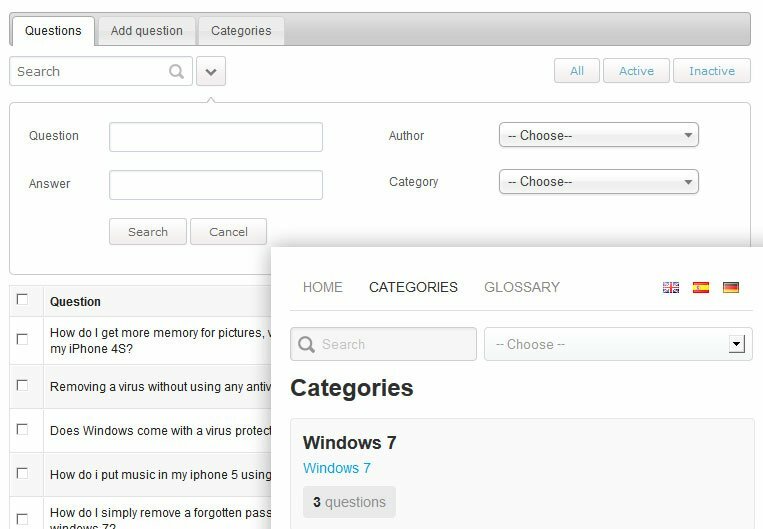 Knowledge Base Builder is built with responsive front-end design and adapts to any screen resolution to provide optimal user experience on any device - PC or Mac, tablets and mobile devices. Prevent any loss of information by regularly performing a backup of your database and files. 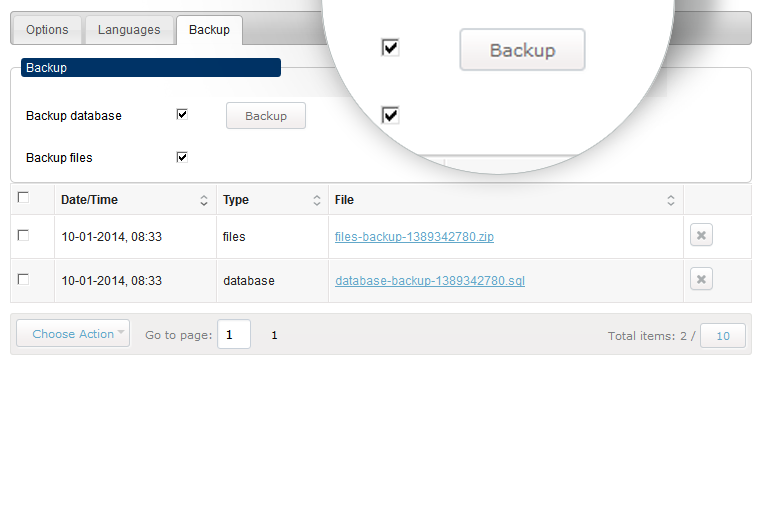 Log in as an administrator to the knowledge base script and perform the backup with just one click of a button. 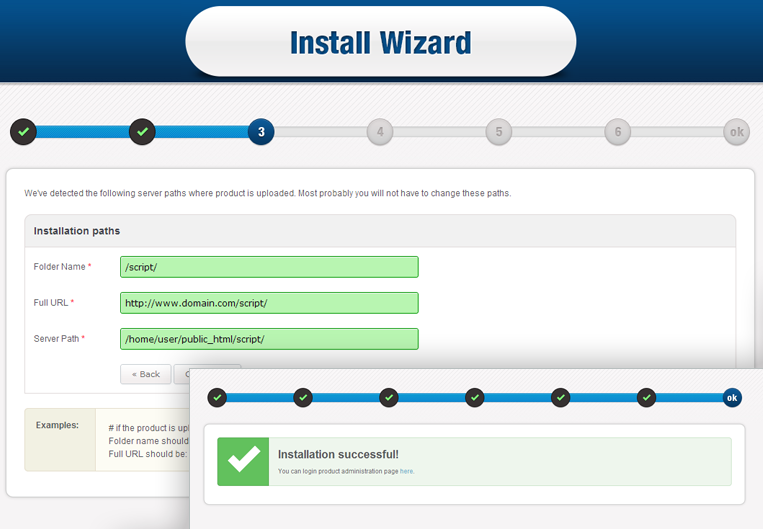 Simply follow the steps in the install menu of the Knowledge Base Builder to include important keywords in your URLs. This will automatically include all question titles in their corresponding URLs. 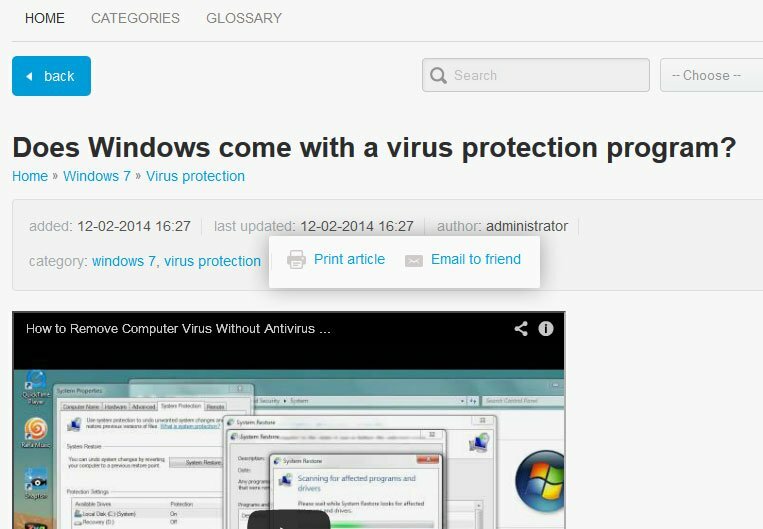 The knowledge base software has built-in interactive widgets to make the user experience better it allows users to print articles, email links to friends and rate the article. Use an external CSS file to apply different CSS styles and change the appearance of your knowledge base to perfectly fit into your website design. If you are a web developer you may want to modify the Knowledge Base software yourself. 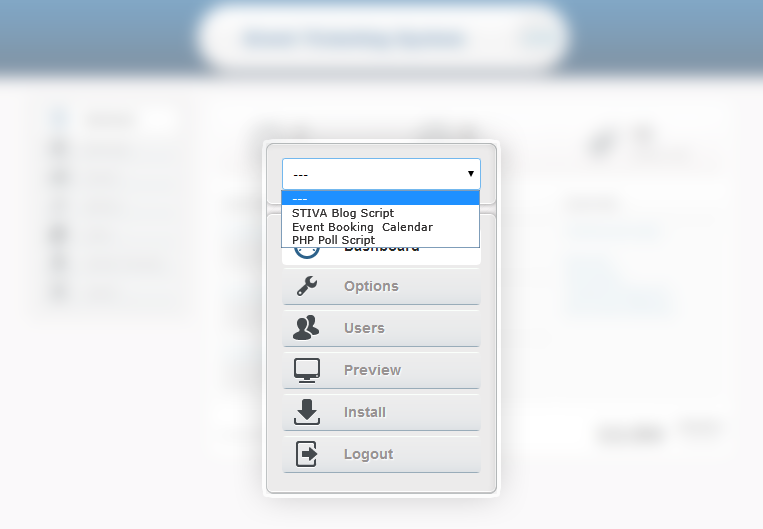 With the Developer License you receive access to the script source code and a guide for our framework. Read more about our framework. 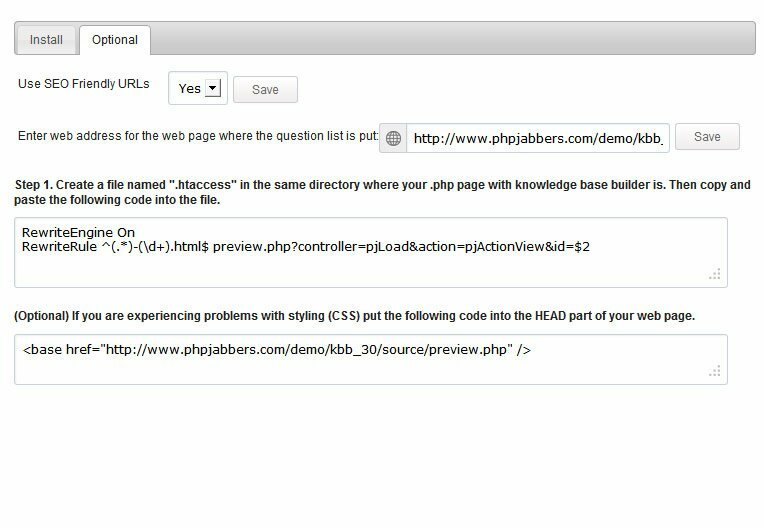 We can do all kind of custom modifications to our PHP scripts. Knowledge Base Builder comes with the following special features: Installation Wizard, High Performance Protected Against SQL Injections PHP Framework, One admiN Module, Translation Module & Backup Tool, User Permissions & Encrypted Passwords, Clean PHP Code & Developer Licence. You may also benefit from our extra services: FREE Installation & Support, Free Updates, Remote Hosting, Payment Gateways Integration, Web SMS, Custom Modifications, Extended Licence Program.